Background on tax increment financing (TIF) as applied to Naftzger Park in downtown Wichita. 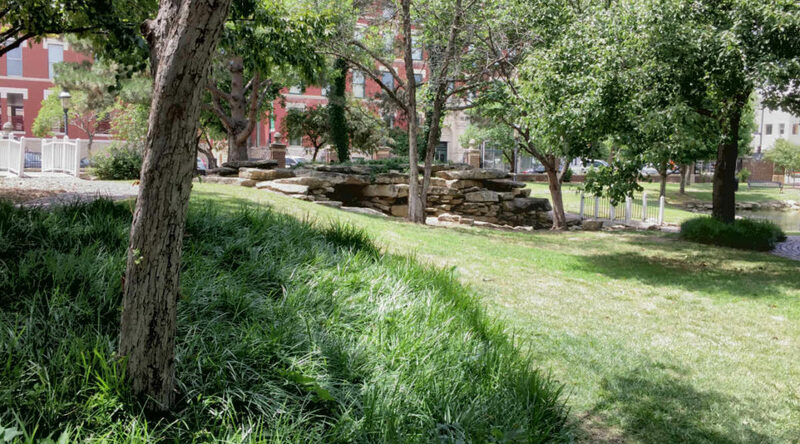 The City of Wichita has proposed using tax increment financing (TIF) revenue to redevelop Naftzger Park in downtown Wichita. Various city officials have said something along these lines: There is a pot of money — 1.5 million dollars — available for use on Naftzger Park, and this money can’t be used for any other purpose. Also, it’s implied that if this money is not used on Naftzger Park, this money will not be available for any purpose, almost as though the money will be wasted. To where are the incremental taxes redirected? Generally, to the benefit of property owners in the TIF district. 2 While there are restrictions on how TIF dollars may be spent, I don’t think any developers within TIF districts have not been able to take full advantage of the TIF dollars that are available, although Naftgzer Park is a special case (see below). Advocates of TIF make it sound as though it is free money. They often say that if the proposed project does not receive TIF financing, it can’t be built. This is the “but for” justification: But for the benefit of TIF, nothing will happen. Without TIF there will be no development, and no future incremental taxes will be collected. There are several issues with this line of thinking. First, the but for rationale is subject to abuse. Developers who want to use TIF have a large monetary incentive to make it appear as though their projects are not financially viable without TIF. That’s the meaning of but for. To make their case for TIF, developers supply financial projections to cities, and the city usually accepts them at face value. These financial projections rely on many assumptions about the future, often 20 or more years in the future. For example, what will be the occupancy rate and average room rate for a proposed hotel in 15 years? Forecasting these values for next year is difficult enough. Yet, it is projections like these that form the basis of the necessity of TIF. City officials do not have the expertise to evaluate these financial projections. If citizens want to see these projections, the City of Wichita will not supply them, in most cases. While the city approved TIF, the county did not. So TIF was not available, and the developer abandoned the project. But: A different developer built the same grocery store and additional retail space at the same location without TIF. It is still in operation six years later. Third: If it is true that we can’t have new development without TIF, there may be obstacles in place that should be removed so that development can take place without TIF. TIF has a cost. A real cost. If we don’t recognize that, then we must reconsider the foundation of local tax policy. In Wichita, as in most cities, the largest consumers of property tax dollars are the city, county, and school district. All justify their tax collections by citing the services they provide: Law enforcement, fire protection, education, etc. It is for providing these services that we pay local taxes. Within a TIF district, however, the new property tax dollars — the increment — do not go to the city, county, and school district to pay for services. Instead, these dollars are used in ways that benefit the development: Property acquisition, site preparation, utilities, drainage, street improvements, streetscape amenities, public outdoor spaces, landscaping, and parking facilities, according to the city’s explanation. Yet, the new development will undoubtedly demand and consume the services local government provides — law enforcement, fire protection, and education. But its incremental property taxes do not pay for these, as they have been diverted elsewhere. (The base property taxes still go to pay for these services, but the base is usually low.) Instead, others must pay the cost of providing services to the TIF development, or accept reduced levels of service as existing service providers are saddled with new demand. Supporters of TIF argue that developers aren’t getting a free ride. The city isn’t giving them cash, they say. The owners of the TIF development will be paying their full share of higher property taxes in the future. That’s true. But, these new tax dollars are spent for their benefit, not to pay for the cost of government. At the same time, however, the city creates special classes of people who use services but don’t pay for them. Yes, the city and developers cite the but for argument, arguing that without the benefit of TIF, there won’t be new development and new demand for services. But we’ve seen that the but for rationale is dubious and subject to abuse. Of note: At a recent public meeting regarding Naftzger Park, someone asked if some of the $1.5 million could be used for more police officers. The answer from city officials was “no.” That answer is correct. But in the normal case, part of this $1.5 million would be available to pay for more police. Also: The redevelopment district in which incremental taxes will be redirected to Naftzger Park includes a number of properties that are already developed. In their justification of TIF, proponents may say that TIF dollars are spent only on allowable purposes. Usually a prominent portion of TIF dollars are spent on things that are related to infrastructure, as listed above. This allows TIF proponents to say the money isn’t really being spent for the benefit of a specific project. It’s spent on infrastructure, they say, which they contend is something that benefits everyone, not one project specifically. Therefore, everyone ought to pay. All the property tax money raised by the SSMID is used to fund WDDC. Now, WDDC — one of the leading advocates for the use of TIF in downtown Wichita — is quite happy to see incremental tax dollars redirected away from the city, county, and school district to benefit TIF developers. You might think that WDDC would also participate in this — purportedly — beneficial arrangement, consenting for its share of property tax to also be redirected for the benefit of developers. Guess again. The SSMID — nearly the only source of funding for WDDC — is exempted from having its tax revenue capture by TIF and redirected to another purpose.